The proposal is being met with optimism by some cannabis activists and municipal politicians who say the provincial government's approach on where legal weed can be consumed has been too restrictive so far. 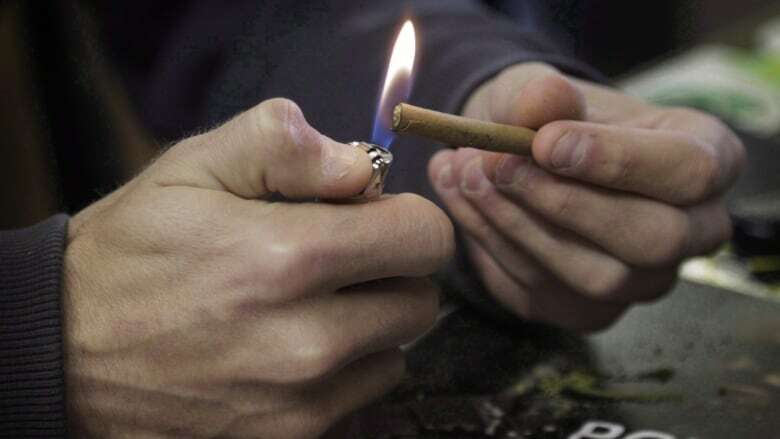 Under rules outlined in the fall, the province intends to sell marijuana in up to 150 stores run by the Liquor Control Board of Ontario to people 19 and older, with a ban on pot's consumption in public spaces or workplaces. On Thursday, the province issued a request for public feedback on a slew of regulatory changes proposed to clarify where recreational and medical cannabis can be consumed. Among them is the possibility of permitting "licensed and regulated cannabis consumption lounges and venues" sometime after legalization in July. 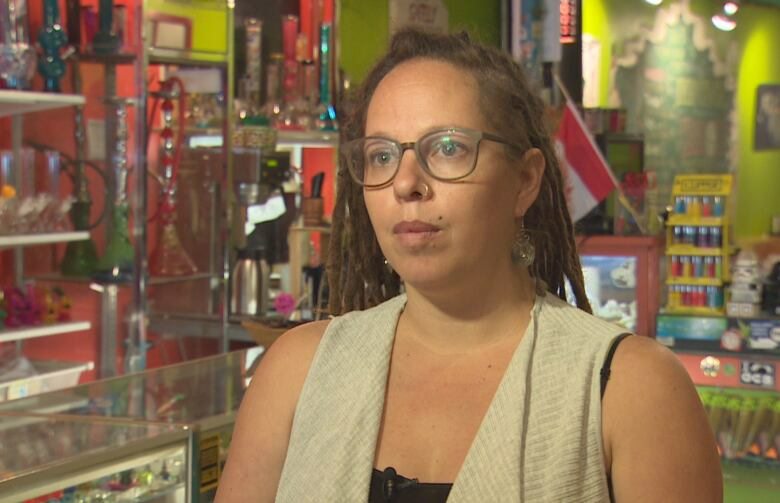 That's exactly what Abi Roach, the owner of Hotbox Cafe, a private Toronto cannabis lounge open since 2003, said she's been asking the province to do for six years. Roach appeared before a legislative committee examining the provincial government's pot laws in November and at the time urged politicians to ease their rules around where the drug could be consumed. She said she wanted the government to shift from what she sees as building policy based on "90 years of prohibitionist mentality" to something that is "functional and realistic to the needs of the consumer." Current rules that intend to restrict consumption of marijuana to private residences will push people who can't use cannabis in their own homes to places where it would create a problem, like public parks or their cars, Roach argued. "In an urban setting you have to take into consideration your neighbours," she said. "Maybe your neighbour has children. Maybe they're not really into it. Maybe your neighbour has respiratory issues. There's no real consideration there for your community." Roach said private cannabis lounges like Hotbox, which is among seven such establishments in Toronto, see thousands of customers a month and check IDs to make sure all customers are over the age of 19. The lounges do not sell marijuana but may offer equipment for customers as they consume in a communal setting. Roach said a major part of the government move to legalize cannabis is to cut down on criminal activity. Including private businesses, like lounge owners, in that regulatory environment will help achieve that goal, she said. "People who are in the cannabis business do not want to be criminals," she said. "Cannabis consumers don't want to do business with criminals. In reality, we all want to be licensed." Roach also said that the government should not attempt to open its own government-run cannabis lounges, like it intends to do with standalone pot shops. "Do you want to hang out at Kathleen Wynne's lounge?" she asked. "There has to be a level of innovation in this industry. There has to be a level of privatization." Toronto councillor Jim Karygiannis, who sits on the city's licensing and standards committee, said the province should step in with clear regulations that would lead to better controls on where the lounges are established, ensure patrons are of legal age to consume cannabis and protect lounge employee safety. The province should also require lounges to have appropriate set-backs from school zones, he said. "A private lounge is a wonderful alternative as long as it's legislated and regulated," he said. "The municipality should have some form of ... oversight. If they're not regulated it will be the wild, wild west." Andrew Rudyk, spokesman for Ontario Attorney General Yasir Naqvi, said the province is taking a cautious approach to the federal legalization of cannabis. "There are no immediate plans to make ... these changes as we are just taking this opportunity to get early feedback on possible next steps after legalization," he said in a statement. "We will continue to consult on the decisions still to come." The province is accepting feedback on its proposals until March 5. Comments can be submitted through the Ontario Regulatory Registry website. Meet your friendly neighbourhood pot dealer: cannabis clinic manager builds relations in northeast B.C.